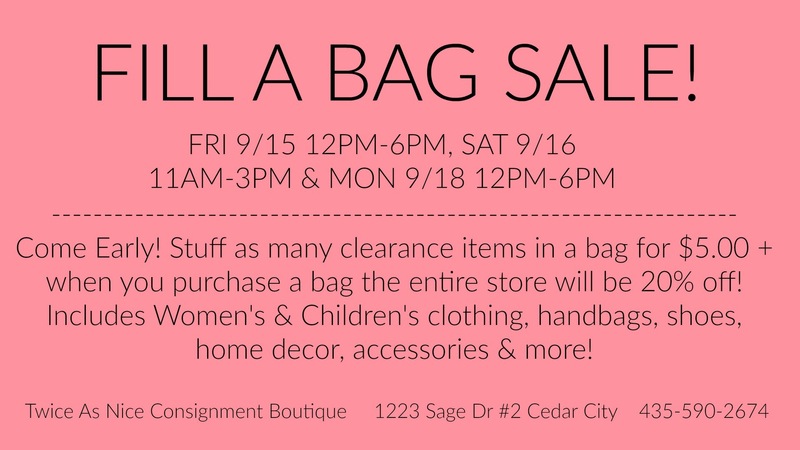 Twice As Nice Consignment Boutique is having a fill a bag sale! Come Early! Stuff as many clearance items in a bag for $5 + when you purchase a bag the entire store will be 20% off! 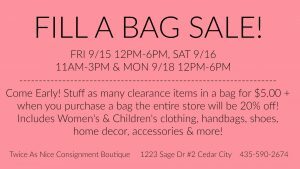 Includes women’s and children’s clothing, handbags, shoes, home decor, accessories and more!